ProParagraph Hipster Volume 2 is a collection of 30 self-animating description titles created exclusively for use in Final Cut Pro X. Each preset is professionally designed with customizable text, backgrounds, and elements. Type in your own text, change any element’s colors and even choose new animations using drop-down menus. 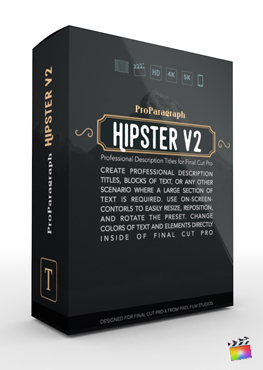 Save time and money editing with ProParagraph Hipster Volume 2 from Pixel Film Studios. 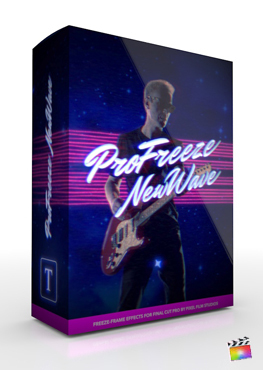 ProFreeze New Wave is an 80’s retro inspired freeze-frame tool made for Final Cut Pro X. With ProFreeze, create amazingly styled still-frames from within a video clip to create a professional freeze-frame effect. Use ProFreeze New Wave to introduce people, subjects, or events of any kind with amazing style and smooth animations. ProFreeze New Wave is exclusively for Final Cut Pro X.
ProParagraph SUBTITLE is a collection of 30 self-animating description titles created exclusively for use in Final Cut Pro X. Each preset is professionally designed with customizable text, backgrounds, and elements. Type in your own text, change any element’s colors and even choose new animations using drop-down menus. Save time and money editing with ProParagraph SUBTITLE from Pixel Film Studios. 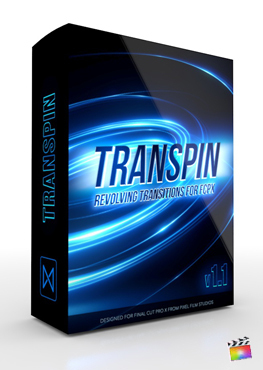 TransPan is a set of customizable panning animations designed exclusively for Final Cut Pro. Seamlessly move from one scene to the next with drag and drop ease. Intel graphics cards are not compatible with this plugin. *This plugin will require Mac OS 10.13 High Sierra and FCPX 10.4. 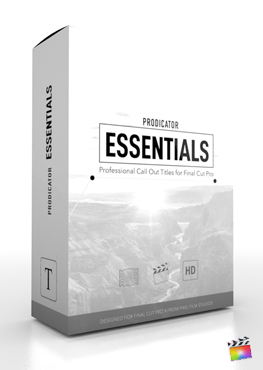 ProDicator Essentials is a collection of 30 self-animating call outs created exclusively for use in Final Cut Pro X. Each preset is professionally designed with built in Motion tracking, customizable text, and elements. Type in your own text, change any element’s colors and even choose new animations using drop-down menus. Save time and money editing with ProDicator (Product Name) from Pixel Film Studios. ProSidebar Hipster is a collection of 30 professionally designed sidebar titles. ProSidebars have numerous animation options that can be combined to create truly unique animations. Customize every element of the preset such as font, color, size, scale, position and more all directly inside of Final Cut Pro. 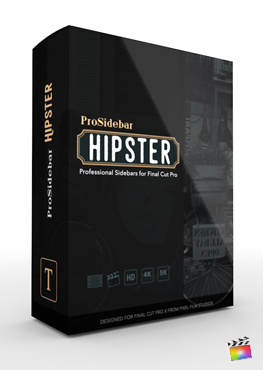 Introduce a new level of professionalism with ProSidebar Hipster. 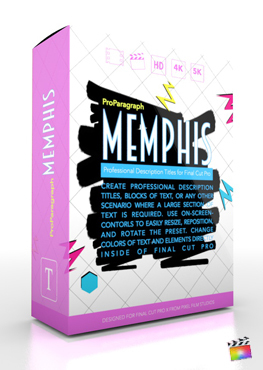 ProParagraph Memphis is a collection of 30 self-animating description titles created exclusively for use in Final Cut Pro X. Each preset is professionally designed with customizable text, backgrounds, and elements. Type in your own text, change any element’s colors and even choose new animations using drop-down menus. 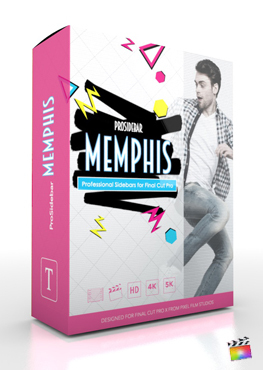 Save time and money editing with ProParagraph Memphis from Pixel Film Studios. ProSidebar Memphis is a collection of 30 professionally designed sidebar titles. ProSidebars have numerous animation options that can be combined to create truly unique animations. Customize every element of the preset such as font, color, size, scale, position and more all directly inside of Final Cut Pro. Introduce a new level of professionalism with ProSidebar Memphis. ProFreeze Heroes is a heroic inspired freeze-frame tool made for Final Cut Pro X. With ProFreeze, create amazingly styled still-frames from within a video clip to create a professional freeze-frame effect. Use ProFreeze Heroes to introduce people, subjects, or events of any kind with amazing style and smooth animations. ProFreeze Heroes is exclusively for Final Cut Pro X.
TranSpin is a set of over 200 customizable spinning animations. Seamlessly move from one scene to the next with drag and drop ease, all within Final Cut Pro X. TranSpin is a Final Cut Pro X exclusive plugin.